Little Mix toured Australia last month with audio and crew supplied by JPJ Audio. In Sydney they used an L-Acoustics K1 PA, in Brisbane an L-Acoustics V-Dosc PA and in Melbourne a d&b J system. All venues had L-Acoustics Arcs side fills and control was two DiGiCo SD10 consoles.The band utilised a Sennheiser IEM system with Sennheiser SKM 5200 Radio Mic Systems. The DiGiCo consoles were handling 43 MADI inputs and six Sennheiser SKM5200 handheld wireless microphones for Little Mix, plus further playback, piano, acoustic guitar and six wireless microphones for the opening acts. 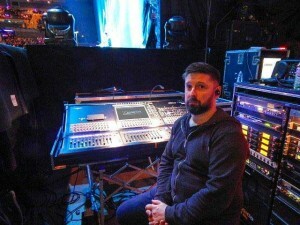 Both Craig and FOH engineer Mark Littlewood took advantage of the options offered by Waves Audio SoundGrid, which allows Waves integration into DiGiCo consoles.